Regardless of whether you’re looking for a commercial or domestic electrician, Perth has plenty of great tradespeople to choose from. But even though you can be confident that most electricians in Perth are expert professionals committed to doing a great job for all of their customers, it’s still a good idea to do some careful background research before deciding which one to hire. 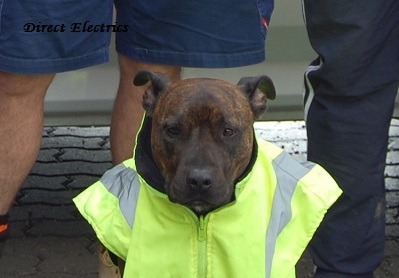 Here at Direct Electrics, we’re extremely proud of the outstanding reputation we’ve built for being the very best domestic and commercial electrician Perth has to offer. Each and every member of our team has been trained on one of our apprenticeship schemes under the supervision of an experienced professional, and we’re committed to ensuring that our materials and equipment – just like our staff – are always top-quality. 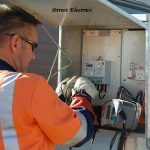 As a result, we can offer the safest, most reliable and most effective electrical services available in the city of Perth. Lots of people make the common mistake of thinking that they don’t really need an electrician in order to get electrical work done on their property. 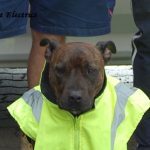 But even the tasks that seem to be completely simple are in fact extremely important and, if not done properly, can lead to serious issues down the line. Furthermore, non-professionals all too often conduct electrical works in ways that aren’t entirely safe, thereby risking the wellbeing of themselves and those people around them. And what many of these people don’t realise is that Australia actually has much stricter rules than most other places regarding what can be considered a certified piece of electrical work. In fact, it isn’t even possible to have an electrician certify that a piece of work done by a non-electrician is of an acceptable standard: absolutely every piece of electrical work must be done by a registered professional if it is to be considered officially certified. Too many people end up facing great difficulties when it comes to selling their property because they were previously unaware of this important point. 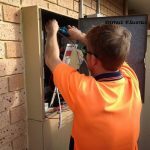 Fortunately, when they choose to hire a professional commercial or domestic electrician, Perth customers have the peace of mind that comes with knowing that all work will be completed according to official guidelines and regulations, and that the result will be a safe and functional electric solution that stands the test of time. 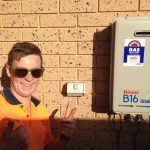 And when they choose Direct Electrics as their domestic or commercial electrician, Perth locals can be absolutely confident that they’ll not only receive access to the most talented and experienced group of tradespeople in the local industry, but also that they’ll be able to get all their electrical work completed swiftly, efficiently and at an extremely fair and affordable price. So if you’re looking for an electrical specialist to help with anything form installing some new lights to rewiring an entire section of your home or office, just get in touch with a member of our friendly team today to find out more information about how we can help make it happen.